More by Action Systems, Inc.
RM Monitor offers on-the-go access to your Restaurant Manager POS system. 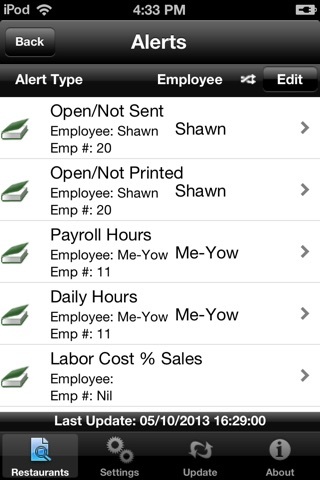 This innovative app generates real-time alerts and reports to help restaurant operators stay on top of their business. 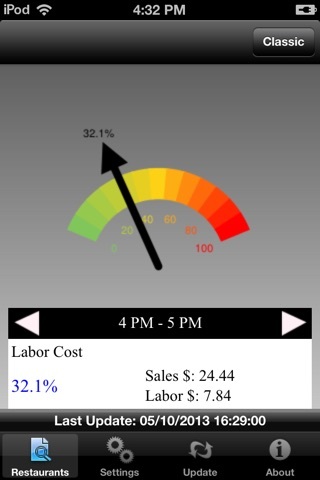 View live graphs of key performance indicators such as sales, labor cost, and discounts. Then compare this data with same day last week and last year. With RM Monitor you can easily link one phone to multiple stores. 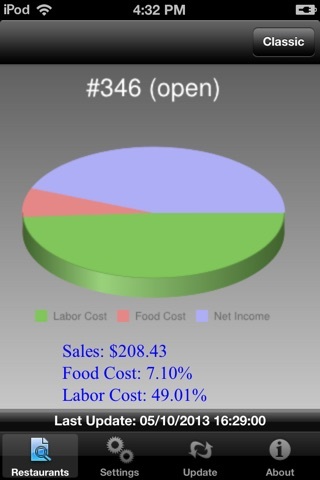 RM Monitor also includes demo data so anyone can download the app and quickly see how restaurant operators use it to manage and improve their business. After downloading the app, simply tap on the sample store (Store 42: Los Angeles) to review demo data. Fixed a problem where updating the application from an older version would result in not being able to connect to the server. Fixed a problem where saved user credentials were cleared out during upgrade. In this build users are no longer required to re-enter saved credentials.